A New York Times-bestselling novel of the ancient king of Macedon and his lover by the author Hilary Mantel calls "a shining light." 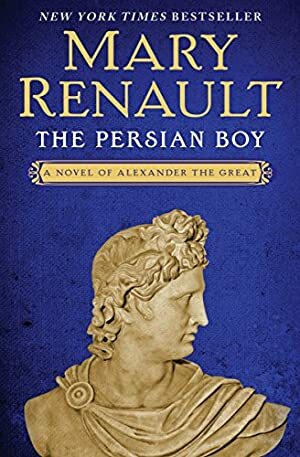 The Persian Boy centers on the most tempestuous years of Alexander the Great's life, as seen through the eyes of his lover and most faithful attendant, Bagoas. When Bagoas is very young, his father is murdered and he is sold as a slave to King Darius of Persia. Then, when Alexander conquers the land, he is given Bagoas as a gift, and the boy is besotted. This passion comes at a time when much is at stake -- Alexander has two wives, conflicts are ablaze, and plots on the Macedon king's life abound. The result is a riveting account of a great conqueror's years of triumph and, ultimately, heartbreak. Log In to track Mary Renault on eReaderIQ. to be notified each time the price drops on any book by Mary Renault. to stop tracking Mary Renault. We started tracking this book on June 12, 2013. The price of this book has changed 104 times in the past 2,141 days. The lowest price to date was $0.99 last reached on June 23, 2017. The highest price to date was $11.63 last reached on January 1, 2018. This book has been $11.63 one time since we started tracking it.